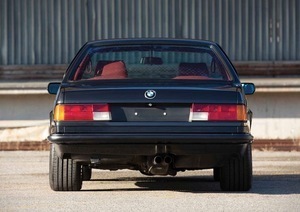 Behold: the 1987 BMW Alpina B7 Turbo Coupe – an ultra rare variant of the E24 6-series and one of only 17 equipped with a catalytic converter resulting in slightly less horsepower (320bhp) but more torque ( 520 nm at 2,400 rpm as opposed to 512 nm at 3,000 rpm). 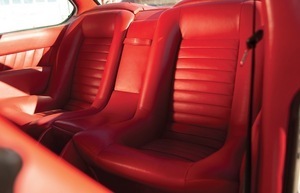 This B7, which had its interior reupholstered in red leather with sport seats shortly after leaving the factory, can be yours for €160,000. 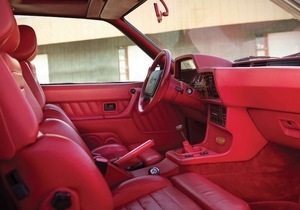 Posted in Design and tagged BMW Alpina B7 Turbo Coupe at 3:39 pm on March 22, 2019 by Chompsky. It would have to be a special night then. You can’t ask for more than that..
As a mobile brothel – it doesn’t look to comfy. 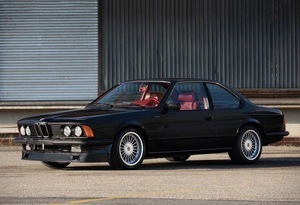 those 6 series were always a bit of a barge I thought, even Alpina built..mad money! 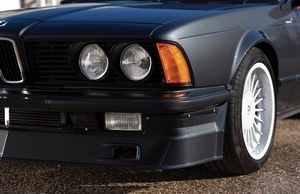 but from the same era & worth every penny (if you can find one straight unmolested will only ever get more valuable) is it’s brother the E28 M5 the one you really really want! I had the use of an M5 for 24 hours back in the day (my then Boss owned it). I’ve never been the same since. are we still on the special theme ? gorgeous car. really lovely. absolutely not worth 160k tho. you’d be spending that again in the mechanics over the following years too. 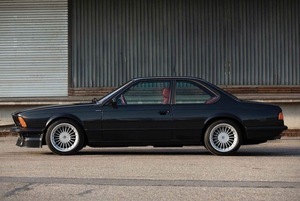 found an alpina B10 in a lads driveway about a month ago… not sure he really knows what he has there. I can picture the sherriff’s receivers driving it away for him. Looks like the kind of yoke boy racers rev around Tesco car parks in.